The floor of a Walmart store doesn’t get a lot of attention from customers. That’s because when it’s in perfect condition, it’s shiny, sparkling and simply just there – gliding carts and people along and acting as the backdrop for an uncomplicated, list-checking experience. Creating this often overlooked, yet important experience has, however, required a LOT of attention from Walmart associates. In fact, for two hours each day, an associate at each of our U.S. stores sits on a scrubbing machine to make sure the floor plays the flawless, clean-yet-invisible role. Two hours per day. It’s time an associate would rather spend serving customers, so we’ll soon be deploying a very modern solution: the Auto-C – Autonomous Cleaner. Much like a self-driving car, this machine uses assisted autonomy technology to clean and polish floors, freeing up associates to take care of other tasks. 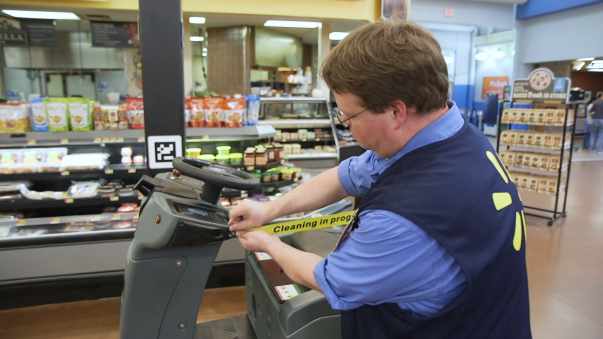 Instead of riding the scrub machine, a Walmart associate can be tidying restrooms, dust-mopping the checkout aisles, or engaging with customers. Available in 78 stores today and rolling out in around 360 soon, Auto-C is just one piece of technology that is making Walmart more efficient. 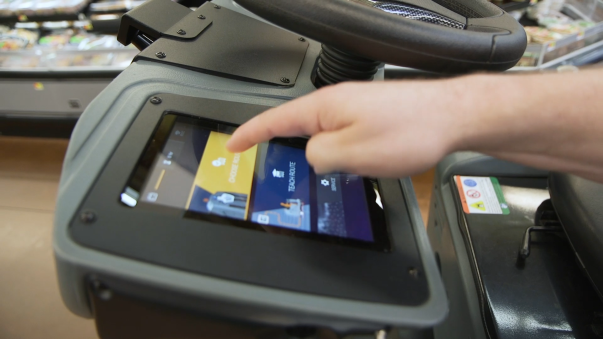 The Auto-C is still pretty young and needs adult supervision (an associate has to prep the area and map the machine’s route), but we’re excited about the role it will play – along with the Auto-S scanning machine, Alphabot, and Pickup towers – in Walmart’s technology ecosystem. Look for Auto-C coming soon to an impeccably clean floor near you. This is a smart move for Walmart I mean if your going to operate understaffed facilities you have to have a substitute plan in place.with most stores being extremely packed out with customers,light labor producing associates,call ins ect.the extra hands from maintenance will benefit cause we all know customers will ask any associate a question no matter what your position is.But the question is will customers bother the Auto.people do be amazed by technology.